This piece imagines an Iraq where Saddam Hussein was still in power in 2016. What if President Bush had allowed his red line to be crossed? How would Saddam’s response to the Arab Spring have played into the region’s geopolitics? Ten years after Saddam’s death in December 2006, the decision to invade Iraq is still a contentious topic in the United States. Hillary Clinton has battled to win the favor of young and leftist Democrats who view her as part of the pro-war establishment that went ahead with a rash and costly military action. Jeb Bush struggled to shake the legacy, and in the end, it may have cost him the nomination. War fatigue is evident among Republicans who view Bush’s decision to invade Iraq as worsening the overall security situation. There is a widespread yearning for the simpler times of the classic Arab dictators. How different would things have been if Bush had his version of Obama’s “Red Line moment” where he reneged on his threat to invade Iraq and Operation Iraqi Freedom never happened? How would Saddam’s regime have navigated the storm of the Arab Spring? What could’ve happened to the so-called Islamic State (IS) and Iran’s growing power in the region? Fictional depictions of history, such as The Man in the High Castle, occasionally provide insights into what might’ve been different or what could have stayed the same. The following is a fictional version of events, imagining what might have happened had President Bush not decided to invade Iraq in 2003. Following the resignation of Vice President Cheney, Donald Rumsfeld, and Paul Wolfowitz from the Administration, President George W. Bush opted to conduct a limited bombing mission (dubbed Operation Desert Fox II) against Saddam’s regime. With a focus on Afghanistan, Iraq falls on the foreign policy backburner. Following Bush’s presidency, President McCain sets the stage for the Arab Spring. By 2008, new strides in technology, U.S. funded media training, and student exchange programs, led to the creation of a network of young democracy activists (including Iraqis) in the Arab World. President McCain focuses his attention on isolating the Iranian regime. Despite the many years of hostile relations during Bush’s presidency, the growing threat of Iran’s nuclear program led to low-level bilateral dialogue. Initiated by Saudi Arabia and facilitated through mediation from German and French contacts, the U.S. and United Kingdom, fearing a nuclear Iran, agree to end Operation Southern Watch. Iraq, in turn, surrenders its WMDs, in exchange for cooperation against Iran. The ruling Baath Party leadership is aging. Saddam and his cohorts are almost all octogenarians. Since 2000, Saddam has been preparing for a leadership transition for his second son, Qusay Hussein, who is viewed by some diplomats as reasonable and open to reform. A similar diplomatic overture is being explored with Saif al-Islam Gaddafi in Libya. Years of sanctions crippled Iraq’s economy. The Saddam Dam, one of the government’s grandiose state development projects, continues to teeter on complete disaster. Despite the hardships and high unemployment, the resourceful and innovative people of Iraq found ways to rebuild at the local level. In the late 1990’s, Saddam had begun experimenting with satellite TV and wireless communications. By the time of McCain’s presidency in 2008, the new window to the outside world was difficult for the Iraqi government to control. Satellite dishes adorn the rooftops of many homes in Baghdad and across Iraq. In 2011 cracks appear in the regime and people began to hold demonstrations organized through online social networks. A different Iraqi Civil War? As the demonstrations and repeated violent crackdowns continued, the Iraqi military was severely weakened from repeated bombing, sanctions, and isolation. Grumblings within the Republican Guard led to a new round of purges. Seeking new allies, Saddam turns to his fellow Sunnis and his former financial backer from the Iran-Iraq War, Saudi Arabia. The Baath Party had embarked on a nominal path towards Islamism under the guidance of Vice President Izzat Ibrahim al-Douri via the faith campaign. This galvanized and shored up Sunni support from Jordan and the Arab Gulf States. Donations from abroad poured in to the Saddam University for Islamic Studies. It is not long before the demonstrations turned into a full-fledged repeat of the 1991 and 1999 predominately Shia uprisings. Iran, after several nuclear tests, remained isolated and agitated. Syria’s separate peace with Israel left Iran searching for allies within Iraq’s rebel movement and an increase in terror abroad. A powerful Lebanese Christian-Sunni political establishment with ties to Saddam faces near daily attacks from a hardline and politically marginalized Shia Hezbollah. The conflict very quickly took on a sectarian element. With support from the Iranian government and trainers, the Iraqi Badr organization and Dawa Party form sizable militias. The Mehdi Army has held out under the regime’s siege of Saddam City for over a year and the humanitarian situation is dire. Smart phone footage from Abu Ghraib shows mass overcrowding and torture in prisons. The Kurds manage to stay neutral until regime attacks force them to once again side with Iran. Hezbollah comes in via Iran to aid Iraq’s Shia fighters. Deputy Prime Minister Tariq Aziz, a Chaldean Catholic, appealed desperately for more Western support to protect Iraq’s beleaguered Christians. The regime struggled to contain the number of Sunni extremists group operating in the country, facilitated by a vast network of Baath army and intelligence officers with questionable loyalties. Despite the fact that Saddam still provides financial supports to different Palestinian factions, the government’s crackdowns against Ansar al-Islam and the arrest and execution of Abu Musab Al-Zarqawi further marginalize the regime’s relations with Sunni Salafists. Saddam, while using the guise of religion to shore up local support, never trusted the Islamists. Clashes erupt between defecting Republican Guard units and the loyal Fedayeen Saddam paramilitary force. Iraq is soon dealing with a multifaceted civil war. 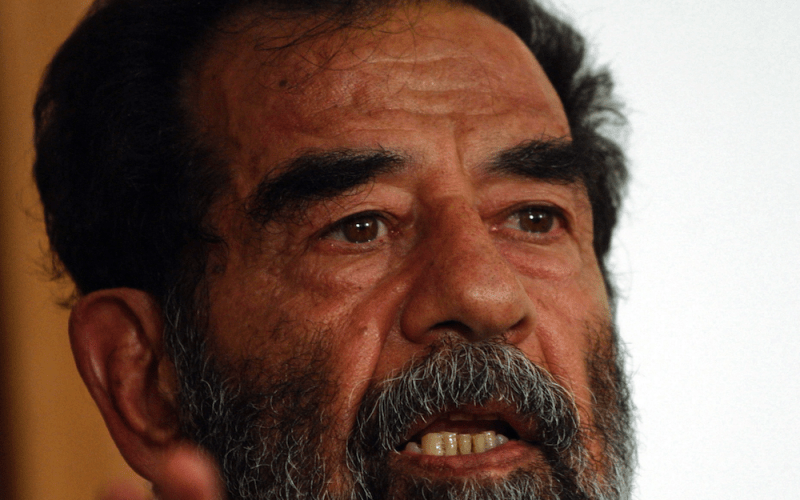 Should the world miss Saddam? Realist and idealists will continue to debate the human cost of the war for both the Americans and Iraqis, whether Iraqis were better off under Saddam, and what the region’s geopolitics might have meant for Iran and IS. Iran has increased its influence in the region and Syria was directly impacted by the violence in Iraq. However, it is unclear if Syria could have actually escaped violence or what direction Iran would’ve gone in had Saddam stayed in power. As for IS, it is difficult to know whether a Sunni extremist organization of its size could’ve formed without the power vacuum that transpired in 2003. Baathist like Abdul Karim Muta’a Kheirallah, Samir al-Khlifawi, and Fadel Ahmad Abdullah al-Hyali from Saddam’s intelligence services may have never met IS leader Al-Baghdadi in Camp Bucca but would’ve instead been instrumental in putting down rebellions instead of fomenting them. Alternative history shows that one historical decision may have postponed regional upheaval and shifting of alliances, but perhaps only for a while. Dictatorship is not a guarantee of peace and stability. The new era of post-Arab Spring authoritarianism has already begun taking shape. The lessons of Saddam’s long period of brutal rule will continue to demonstrate the impact of his dictatorship on the region.